Usually, when I’m looking for a new novel to read, I go by topic, setting and storyline. I might read some reviews from trusted sources, though they don’t necessarily sway me. But there are just a few authors whose work I will read regardless of its plot. Just the byline is enough to get me in. This US-based Australian journalist-turned novelist and recipient of the Pulitzer Prize writes extraordinarily beautiful prose, meticulously researched but never slow or boring in its detail. She’s one of those writers who makes me sigh to myself and mutter, ‘Why would I ever bother to write’? I can recommend March (2005), her story of the US Civil War experience of Mr March from the classic American children’s novel Little Women; and Year of Wonders (2001) set in the UK in 1666 during the bubonic plague. When I read Donohue’s riveting novel The Stolen Child (2006), a modern take on the ancient tale of the changeling, I was astounded. For me, it was one of the most imaginative novels I had ever read. The story transports you to a parallel world where two realities can exist side by side. His follow-up novel, Angels of Destruction (2009) is also intriguing, concerning the case of a child who turns up at a woman’s door claiming to be her daughter who went missing nine years before. OK, here’s a disclaimer: Savage is a friend of mine. But that’s not why I read her books. She and I got to know each other only after I started reading her novels and determined that I would read everything she wrote. I’ve read and can recommend all three in her crime series featuring Jayne Keeny, PI, Behind the Night Bizarre (2006), The Half-Child (2010), and The Dying Beach (2013). If you like gritty crime thrillers with integrity, set in the fascinating culture of Thailand, these novels are for you. Savage lived in South-East Asia herself for many years before returning to Australia, and this shows in her authentic descriptions. Her books are set in the near past, around the same time I was living in Thailand, so they’re of interest beyond their engaging plots, as well. I’ve discovered Richardson’s books this year, thanks to my blogosphere friend Margot Kinberg at Confessions of a Mystery Novelist. Richardson comes from the same part of New Zealand’s South Island as I do (Dunedin), which is what first peaked my interest. Once you start one of her crime novels, I assure you that it is very difficult to put it down or to think of much else. I can recommend her fabulous series with TV journalist Rebecca Thorne as the protagonist, the latest of which is Cross Fingers (2013). While set in the present, the book has Thorne researching a cold case during the tumultuous events in NZ during the 1981 tour of the South African rugby team, the Springboks. This writer has an uncanny ability to put pace into her narrative, and to take the reader to the scene. Incidentally, you won’t find a picture of Richardson’s book cover above, because I’ve read her books on my Kindle. But such is her skill, the medium on which you are reading is immaterial, because you are soon immersed in the story. I resisted reading Albom’s books for ages, because everyone was reading them and raving about them. But they were right. When I finally took the plunge, I found them to be real page-turners. The Five People You Meet in Heaven (1997) didn’t even sound like my sort of book, being a sort-of modern day twist on Dickens’s A Christmas Carol. But it’s fabulous, believe me—just read it. What I like also about Albom’s books is that they’re short and easy to read. You can finish one within a few nights of bedtime reading. Tuesdays with Morrie (2003), about a young man who has the opportunity to glean the wisdom of his former professor as he is dying, is extraordinarily wonderful, too. The big, meaty, atmospheric historical novels by this Australian novelist are set in the UK among the castles, ruins and family secrets of bygone eras. She manages to get me in from the very first page of each of her novels. The Shifting Fog (2006) is set in two time zones, 1999 and 1924, which is a plot device that always intrigues me. The story concerns a film director who is making a film about the suicide of a poet at a manor house in 1924, and who discovers that a housemaid from the time is still alive. So the film maker travels from the US to the UK to interview the 98-year-old. The plot involves a perfect Edwardian summer, a shocking secret and its revelation. Equally riveting is The Forgotten Garden (2008), concerning a young woman who inherits a cottage with a secret garden on the Cornish coast, and discovers a mystery concerning a missing girl from nearly a century before. One of the world’s most prolific authors, I first came across McCall Smith when I read The No. 1 Ladies’ Detective Agency (1998), set in Gabarone, Botswana. There are now at least 15 in the series, of which I’ve read 12, and they are all delightful, particularly for their wonderful titles, including The Kalahari Typing School for Men and Tea Time for the Traditionally Built (a bit of an in-joke for readers). The series concerns the wonderful Precious Ramotswe, who sets up a PI agency with a small inheritance from her father. The stories have been called ‘gentle’ and ‘delightful’, and that they are. However, I think they are deceptively simple: McCall Smith deals with some of the harshest and most difficult problems affecting the world today, and his novels always make me think. I’ve also read and loved several of his other series, including the Isabel Dalhousie, Professor Dr von Igelfeld and 44 Scotland St series (of which The Importance of Being Seven, pictured, is one), and have enjoyed them all. But No. 1 is his best. How thrilled I was to discover that Ursula Bischoff, the writer who translated my own novel The Occidentals into German, was also McCall Smith’s translator for The No. 1 Ladies’ Detective Agency. I have to read a lot for work, so for recreational reading, I have time for only about 20 books a year (sometimes more, depending on my workload). So, everything I read has to engage me, because reading time is so precious. I’m what you’d call an eclectic reader: I’m just as happy reading a literary tome that’s won the Man Booker Prize as I am reading a “chick-lit” novel. I want different things from different books. Sometimes, I want to read beautiful writing for its own sake; sometimes, I want to read classics because I should; sometimes, the location interests me (this is why I liked Twilight—I thought the location of Forks was a great choice, no matter what criticism could be levelled at the writing); sometimes, I’m interested in what on earth a mega-selling author could write next; and sometimes, I just want to have a laugh and a “good read” that doesn’t tax me too much. There are some authors whose works I will read whatever they publish. There are some subjects I will read no matter who they are by. 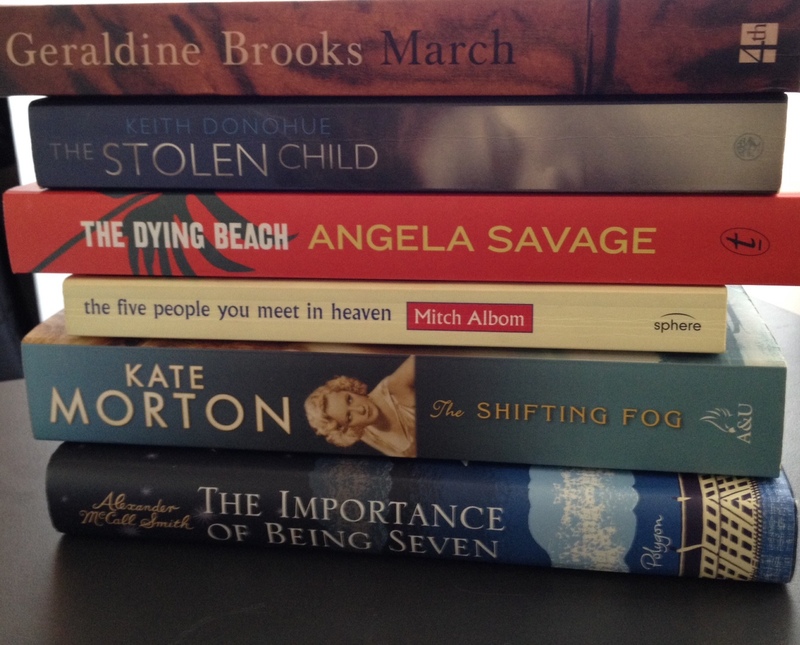 Anyway, here are my top five novels of 2013 in no particular order. 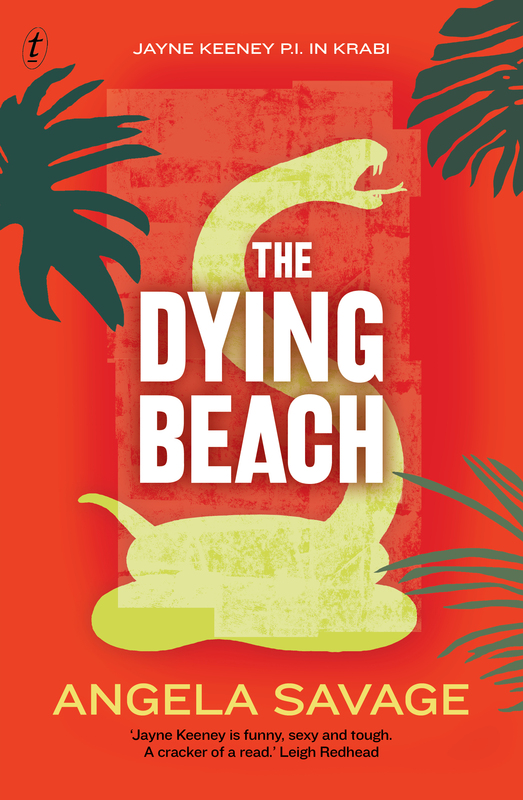 To note: four of them are historical novels set in the 19th century, and the fifth, The Dying Beach, is set in the 1990s. Two are set during 19th-century gold rushes, one in Australia, the other in New Zealand. Three are murder mysteries, though I don’t set out to read crime fiction: it just kind-of happens. Four are by New Zealand or Australian writers. I read three of them on my Kindle, and the other two as trade paperbacks (the bigger format paperback). This is set in the 1860s during the American Civil War. The protagonist, Mr March, is the father from Louisa May Alcott’s children’s classic Little Women, who barely appears in the original book. But Brooks has cleverly modeled the character more on Alcott’s real father, an abolitionist, educator and writer. The book is compelling and, although violent in parts, it also has moments of joy and sensuality. It taught me much more about the complicated issues surrounding the American Civil War—and their legacy—than history books I studied at university. The novel is something of an antidote to the overly moralistic Little Women, which I re-read in preparation for March. Interestingly, Brooks is an Australian journalist who now lives in the US, and this book won the Pulitzer Prize in 2006. It is a superb work of art that is among the best books I’ve read. I’ll definitely be reading more Brooks novels, and her Year of Wonders is sitting in my bookcase, waiting its turn. This historical murder mystery, the 2013 Man Booker Prize winner, is set in New Zealand in the Otago goldfields, mainly in and around Hokitika, in the mid-1860s. 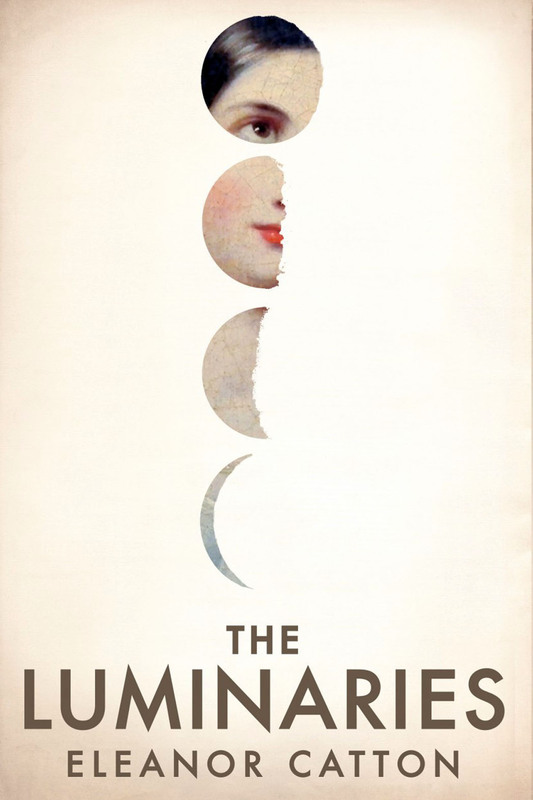 Its brilliance lies in its clever structure and its exquisite use of language. The plot is actually quite simple—a man is found dead and another disappears, and a woman collapses in the street after what is thought to be a suicide attempt. The rest of the book considers what might have happened to them and why, but it is far from a simple book. The complexity of characterisation is a triumph for Catton, as is her ability to speak believably and primarily in the book from a male point-of-view. The author, Eleanor Catton, 28, is the youngest recipient of the Booker, and only the second New Zealand writer to win it. I was literary editor of the Sunday Star newspaper in Auckland when Keri Hulme won the Booker for The Bone People in 1985. The Bone People had been published by a small feminist publisher, Spiral Collective, but was later released by Hodder & Stoughton. I wish I had one of the original small-print-run copies! Much against her liking, Hulme became a celebrity overnight, everyone wanting to interview her, quote her, find out how she ticked. Hulme avoided the limelight as much as possible, and lives a quiet life in Okarito on the West Coast of the South Island. She has written and published short stories and poetry since winning the Booker, but has not published another novel, although she currently has two in progress. I emailed Hulme in 2007 and asked her if I could interview her for a story I was writing for Good Reading magazine on the state of New Zealand publishing. She declined, graciously, saying a 2000-word article wouldn’t do NZ literature justice and that, anyway, she didn’t want to be “quote fodder”. Fair enough. 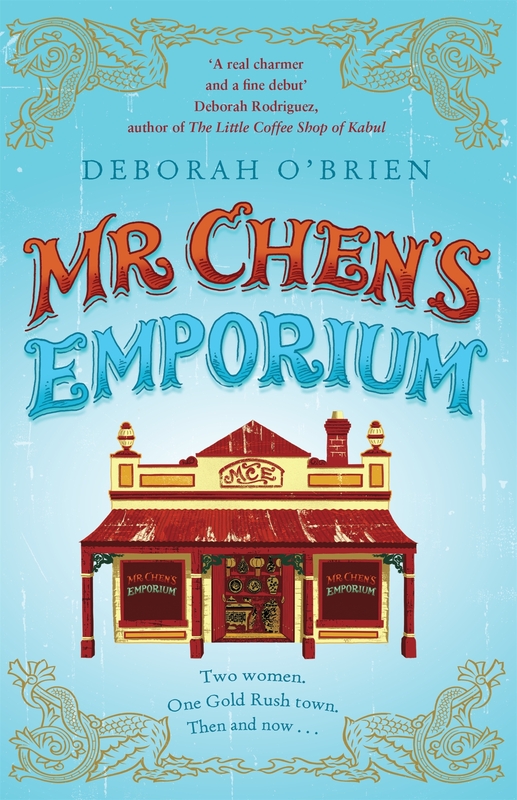 Set in the fictional Australian gold rush town of Millbrooke, New South Wales, in the 1870s, this is the riveting story of Amy, a young woman who falls in love with a Chinese man. Their tragic story is interspersed with another set in the present, concerning a middle-aged woman, Angie, who comes to live in the manse where Amy once lived, and who is given a trunk containing clues to Amy’s life. This was a thoroughly enjoyable read—one of those books you can feel lurking on your bedside table, begging you to pick it up again. I’ve always been attracted by stories that take place in two different times. Two of my favourites from long ago are The Lady of Hay (1986) by Barbara Erskine, and, when I was a child, The Sunbird (1972), by Wilbur Smith (not a child’s book, but, nevertheless, cadged from my dad’s bookcase). This is the third in Savage’s series about Jayne Keeney, P.I., an Australian detective based in Thailand. This time, Jayne has a mystery to solve at Krabi. She is accompanied by her partner, Rajiv, a wonderfully drawn character who is turning out to be a star of the show. Rajiv appeared in the second book, The Half-Child, when he was working in a second-hand bookshop, and he has now become her partner in business and in love. The book tackles some serious issues, including environmental problems, corruption and the negative side of tourism. Savage has an adept style that brings in these issues almost by stealth, because all the time the reader is being carried along by the fast-paced story. Savage knows her subject very well, having lived and worked in Southeast Asia for many years, though she is now based back in Melbourne. She is currently working on a fourth novel in the series. For more on Angela Savage, see my interview here. This is a brilliant sequel to Pride and Prejudice, written masterfully as a tribute to Austen’s style of writing but with satirical elements, with a wink to fans of Austen, who will get the in-jokes, and crossed with the crime thriller genre. 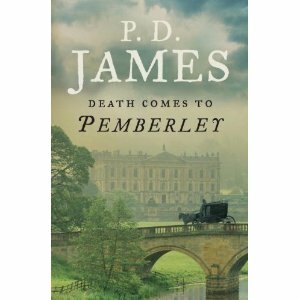 James also further develops Austen’s characters in this page-turner that is hard to put down. As the quotation on the UK cover says: “Dazzling…A book that combines the grace of Jane Austen with the pace of a thriller” (Sunday Express). The novel was published in 2011 when Baroness James, as she is otherwise known, was 91. It’s interesting that P. D. James herself admits that writing the book was self-indulgence. You can read more about her reasons for and process of writing the book in a story she wrote herself for The Telegraph here. The book is now a three-part BBC series screened last month in the UK, so let’s hope it comes to Australia soon! It has had mixed reviews—some scathing—as has the book, but I loved this novel, and I hope she does more sequels to Austen novels. Honourable mentions: The Casual Vacancy, by J. K. Rowling; Possession, by A. S. Byatt; The Castlemaine Murders, by Kerry Greenwood (one of three Phryne Fisher books I read this year, as well as viewing the ABC series); The Girl You Left Behind, by JoJo Moyes; A Hundred Summers, by Beatriz Williams. Is it not a beautiful thing to decide, on a day off, to take up the book you are reading, and to vow to read it all at once until it is finished? That’s exactly what I did today. Well, I had only 36 pages left, so it didn’t take long. I’ve been reading Little Women, by Louisa May Alcott, for the first time in decades. If you’ve been re-reading a book from long ago, I’d like to hear about it, too (see this post’s last sentence). 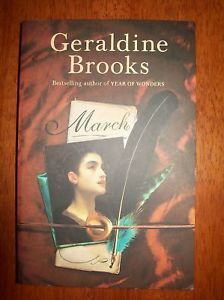 I’m re-reading Little Women because I intend to read March, by the Australian writer Geraldine Brooks. March takes up the story of the father of Meg, Jo, Beth and Amy. Robert March is a shadowy figure in Little Women, and little is divulged about his time away from home while serving with the Union forces during the American Civil War. Brooks takes up his story, and from all accounts, it is a masterful work, for which she won the 2006 Pulitzer Prize for fiction. It was so long since I’d read Little Women that I thought I’d best refresh my memory. Little Women is rather a strange book: endearing central characters, a strong moral and Christian message, a sentimentality that is too much at times, set against the turbulent times of the Civil War. Despite its almost preachy tone, it is compelling, however. I’m most interested in the character of Jo(sephine), definitively played by Winona Ryder in the 1994 film version. The character of Jo is a reminder of how far women have come toward gaining equality. Only by acting, speaking and wishing to be a man does Jo consider she can live a valid life. And, in the 1860s, middle-class women were restricted to domestic duties. At one point, Jo tells her mother that she wishes all four daughters had been born boys. Some women broke with tradition, of course, including Alcott herself, who never married and whose income brought her family out of poverty. I can’t help thinking the English children’s writer Enid Blyton must have been influenced by Jo when she wrote her own “tomboy” character of George (Georgina) in the Famous Five series. “Have regular hours for work and play; make each day both useful and pleasant, and prove that you understand the worth of time by employing it well. Then youth will be delightful, old age will bring few regrets, and life becomes a beautiful success, in spite of poverty.” (Wordsworth Classics edition, 1993, p. 115). Little Women’s book history is interesting. The first part was published in 1868—only three years after the war ended—and is partly autobiographical, drawing on Alcott’s childhood. Her father was Amos Bronson Alcott, a noted educator and writer. As in Little Women, there were four daughters in the family, and some of the events related in the story are descriptions of real events, notably in the sequel, Good Wives, Meg’s wedding (in reality that of Alcott’s sister, Anna). Good Wives was published in 1869, but the two are often published together now, although my book contains just the first. There are two more in the series: Little Men and Jo’s Boys. Alcott, who never married, did not particularly want to write Little Women. She did so at her publisher’s insistence, and its great success made her family financially viable—just as well, because her scholarly father earned almost nothing for his work and relied on his wife and daughters to earn incomes. One curious factor is that there are quite a few typographical errors in this book, and a few grammatical errors, too (“sung” instead of “sang” for example). You’d think these would have been fixed a century or so ago. But perhaps they crept in when books were re-keyed (and not copy-edited, obviously). I work as a university lecturer and I’ve often thought it would be interesting to write an undergraduate subject called Lessons from Literature or Literature in Society. Over a 12-week semester, you would choose a number of classic books and examine the moral code of each. There would be a different theme each week. This wouldn’t be schmaltzy goody-two-shoes stuff: you could also choose a book that carried a message of evil, for example, and examine its effects. Through examining excerpts from these books, you could discuss social codes, ethics, morality and sensibility, in a bid to understand current moral systems, laws and social mores. Perhaps I will have the opportunity to do that one day. Books with moral messages, such as parables, are still among our most popular. In the 19th century, there was A Christmas Carol; fast-forward to the 21st century and you have The Five People You Meet in Heaven, for example. What book or books do you most remember from childhood? I’d like to hear what books readers of this blog remember favourably from childhood and which you have re-read. 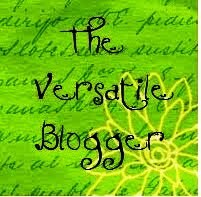 You could simply comment below, or you could post a link to your blog. Happy reading!